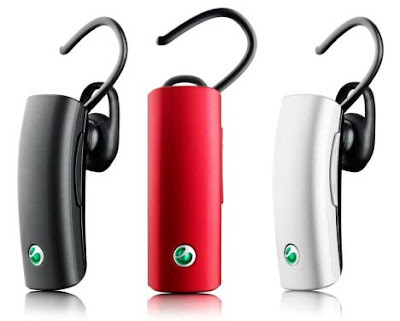 Sony comes with two new bluetooth headsets which work on more platforms, called the Sony Ericsson VH110 and Sony Ericsson VH410. Both of them come in the line of green technology gadgets with recycled plastics, water-based paint coating and smaller packaging. 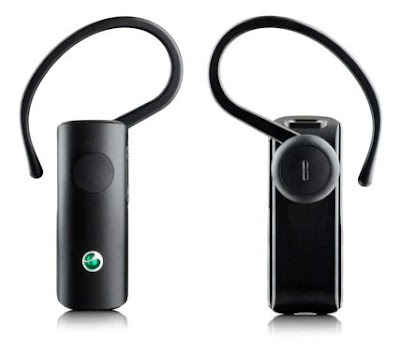 Both are 'Over the ear' type bluetooth device. The Sony Ericsson VH110 minimizes the level of background noise while you are on the move with noise cancellation technology. This is a basic one that has a one button touch control to answer/end calls. The charging is done with the help of a micro-USB port. This is more convenient for drivers who want to stay connected in the rush. The VH110 having 10-hours of talk time and 350 hours of standby time. It comes in black color. The Sony Ericsson VH410 guarantees crystal-clear conversations with the noise cancellation technology and super simple call handling. It is also eco friendly like the previous one and has the same battery. It comes in the following paint schemes red, black, and silver. Both headsets will be available in August of this year and we don’t know the cost of them now. Tags: Sony Ericsson VH110, Sony Ericsson VH410, Sony VH110 pics, Sony VH410 pics, Sony VH110 pictures, Sony VH410 pictures, Sony VH110 details, Sony VH410 details, Sony VH110 review, Sony VH410 review, Bluetooth headsets, Bluetooth devices.